*I participated in the Pass The Puffs blog program as a member of One2One Network. I received compensation but all opinions are my own. As I mentioned on Facebook recently, I have a cold. I don’t remember the last time I had a cold and as you can expect, it’s not fun. I’m sneezing, sniffling and I can’t breath. Basically, I’m a mess! This cold has gone from family member to family member because apparently, we’re big on sharing. This has been a brutal flu and cold season all over the U.S. It hit our schools hard and all three of our kids either got the flu, a virus or a cold. According to the CDC, this has been one of the toughest flu seasons in recent memories and our schools have sent out many emails asking parents to please keep their children home is they’re suffering from flu symptoms. Thankfully Puffs Tissue is on a mission to help people look and feel their best during cold and flu season. When you are constantly using tissues from all the sneezing and sniffling, there is no comparison when it comes to Puffs Plus Lotion. It has just the right amount of softness to soothe the irritation that comes with the unfortunate symptoms of the flu and a cold. We already feel not so great and as adults, we can’t put our entire lives on hold. We still have to face the world with a cold. We still have to face life and facing it with, well the best face we can is nice. Puffs Plus Lotion provides comfort for the worst flu and cold symptoms because of the ingredients they use. They contain a touch of Shea Butter, Aloe and Vitamin E and are the only national brand that is dermatologist tested to be gentle on skin. When it comes to my essentials for getting over the common cold, for me it’s my box of Puffs Plus Lotion Tissues, my favorite chenille blanket to curl up on the couch with, a cup of hot tea and when I have to go outside and face the world – my favorite scarf and hat. All of these items are extremely comforting, which is exactly what we need when it comes to getting over a cold or the flu. I’m happy to say that even with all of the sneezing and sniffling I’ve been doing, my little nose is still okay. I would be a wreck and not able to face the world if I used any other tissue. No thank you! 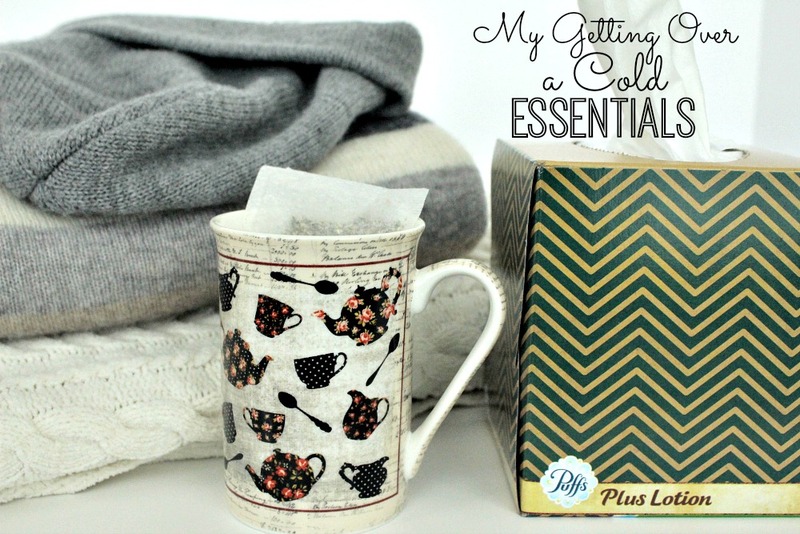 What are your essentials for getting over the flu and a cold? Has your city or household been hit hard this season? Please visit Facebook.com/Puffs and Puffs.com for more information on Puffs Plus Lotion.